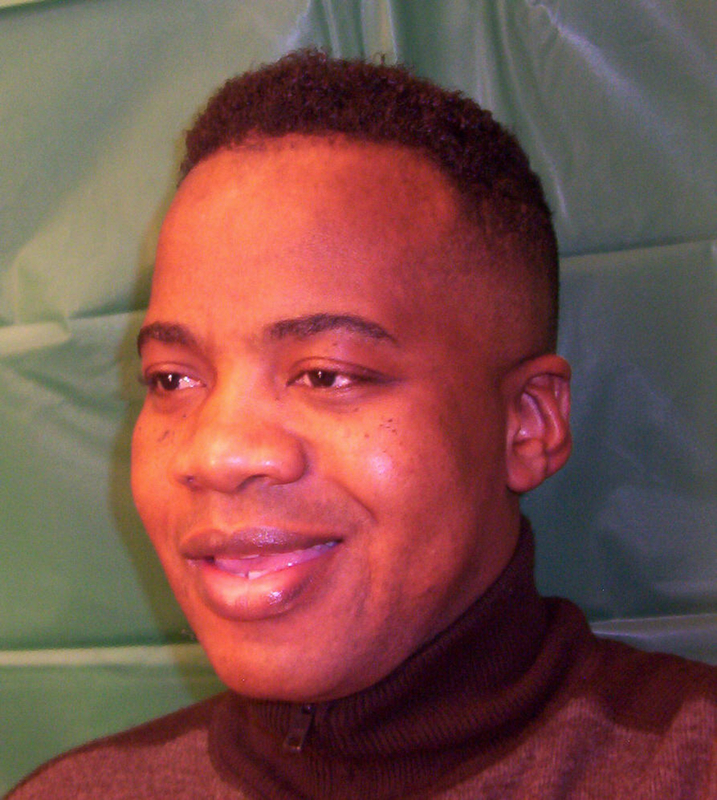 I founded Africa Health Organisation (AHO) in 1999 following a kidney transplant in South Africa. On 23 September 1997, I was diagnosed with Chronic Kidney Failure (CKF) whilst studying BSc Economics at the University of Zimbabwe. One day I woke up with puffy face and swollen body and I was referred to a specialist. Blood and urine tests showed that I had End-Stage-Renal-Disease (ESRD). I was subsequently put on haemodialysis at Ward B6 Renal at Parirenyatwa Group of Hospitals in Harare, Zimbabwe. 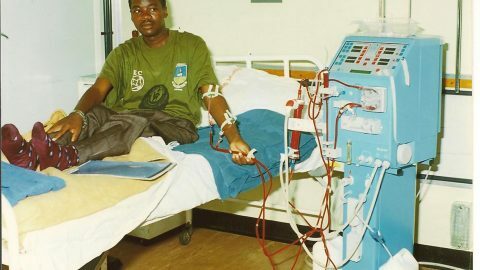 Life on dialysis was tough and painful. I spent most of my time in hospital. I was required to attend 3 sessions per week with each session lasting 4 to 6 hours. After dialysis I would feel exhausted, lethargic, nausea, muscle cramp, dry and itchy skin. The most common side effects which I experienced very often was hypotension or low blood pressure which caused me to faint or become unconscious. The situation was made worse by shortages of dialysis sundries and machine breakdown without service. I used to see people dying daily from under-dialysed. Students from the University of Zimbabwe (UZ for the Community) who visited me in hospital launched a fundraising campaign to raise funds to enabled me have kidney transplant after the renal physician told them that it was possible and after my brother volunteered to donate one of his kidneys. The students walked 450 kilometres from Bulawayo (second largest city) to Harare the capital city for ten days to raise USD$75,000 for kidney transplant. The walk raised awareness of my plight and the First Lady of Zimbabwe joined the fundraising including captains of industries, members of the diplomatic community, schools and the whole country. 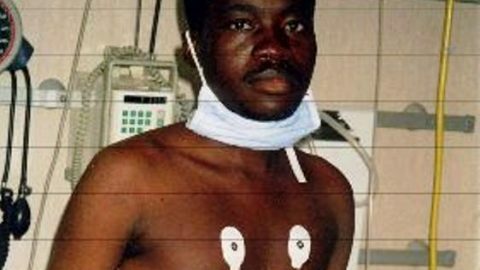 After raising enough funds, I finally had a kidney transplant on 14 August 1999 at Garden City Hospital in Johannesburg in South Africa. 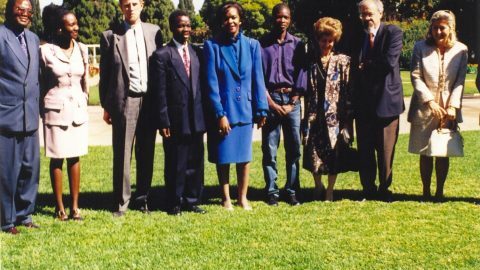 After transplant I went back to school to complete my studies and on 20 March 2000, I graduated with a BSc Hons Degree in Economics from the University of Zimbabwe. All these gave birth to Africa Health Organisation (AHO). Consultation began in Zimbabwe with medical professionals at College of Health Sciences at the University of Zimbabwe, then South Africa and trips abroad. However, the consultation was put on hold after I was offered a place to study Master of Business Administration (MBA) at Kent Business School at the University of Kent in UK. After studies Africa Health Organisation (AHO) was finally established in UK in 2009. It did not start to operate until 16 January 2016 when it registered with the British government. My first strategy was to write our supreme document to guide us through to 2030. The Sustainable Health Agenda for Africa 2030 was written in 2018 followed by the Strategic Plan 2020-2025 as the blueprint for the future we hope to build across the whole of Africa. Every man, woman and child deserves to live a longer, higher quality life, sustained by the systematically revolutionised design of healthcare institutions and procedures throughout the continent. The strategic objectives of the AHO collectively form the structure of a compassionate yet calculated effort to equitably optimise health in Africa. Some essential projects the AHO will undertake to materialise its vision include: taking curative and preventative measures to combat communicable and non-communicable disease, identifying as well as addressing health determinants, and strengthening health systems, disaster preparedness, surveillance, and emergency responses. The AHO Strategic Plan 2020-2030 will outline a pragmatic approach to make promising, lasting changes to the level of development in many African nations. Assembling a highly skilled health workforce, conducting dedicated research to motivate ground-breaking health policies and improving measures to reduce risk from disease, conflict and epidemic susceptibility are just a small selection of the tools the AHO will use to construct a robust health network that facilitates healthier living. The clear and comprehensive details of how each strategic objective will be completed are not only vital for its success, but also reflect the devotion and effort required by all AHO staff throughout the plan’s execution. Stating clear qualitative and quantitative targets of the plan’s outcome highlights its ambitious and evaluative nature; the collaborative efforts to optimise health in Africa will progressively shape a brighter future for those who face adversity on a daily basis. The 1.28 billion people of 54 proud nations of Africa deserve to break free from the grasp of the deep-rooted health inequality spread across the continent. The Strategic Plan will act as a concrete platform that enables the people of Africa to surmount the plight of disease and disaster in order to thrive economically, to reach a higher level of excellence in healthcare facilities and services and promote observable, lasting development. My role as Founder and President is to oversee the resolute execution of the Strategic Plan 2020-2025 and to instil the AHO values into every member of this organisation; to exhibit compassion and integrity, to respect diversity and to establish equality. These values are the foundations of what the AHO plans to build by 2030 and they will cement the implementation of our strategic objectives every step of the way. I would like to thank the following people and institutions without whose support I would not be alive today: my brother Andrew the kidney donor, Dr Grace Mugabe for helping to raise the funds, Fr Nigel Johnson SJ for coordinating the campaign and working up at night to take me to hospital, Dr Chiratidzo Ellen Ndlovu, Renal Physician for looking after my medical needs in Zimbabwe, Dr Hendrick Viljeon for looking after my medical needs in South Africa, Professor Botha and his team of surgeons for carry out kidney transplant, Garden City Hospital, Parirenyatwa Group of Hospitals, Members of the diplomatic corps; Mr Ali Halimeh Palestine Ambassador to Zimbabwe, Italian Embassy in Zimbabwe, Iranian Embassy in Zimbabwe, Shapstone Musiyarira and UZ for the community for initiating the cause, Kidney soldiers for walking 450 km to raise funds and awareness, Mrs Vivienne Hill for chairing the Graciano Masauso Trust Fund, the Graciano Masauso Trust Fund board, University of Zimbabwe for paying for dialysis and sundries, Sr Kwesha and the staff at Ward B6 Renal Unit at Parirenyatwa Hospital, Goromonzi High School for donation, Mbare High School for donation, Amai Mugweni for donation, Fr Bob SJ for major donation, Fr Heribert Muller SJ for organising trip to Germany to raise funds for AHO, Fr Nobert Gille SJ and Fr Christian SJ.